Hi, all! 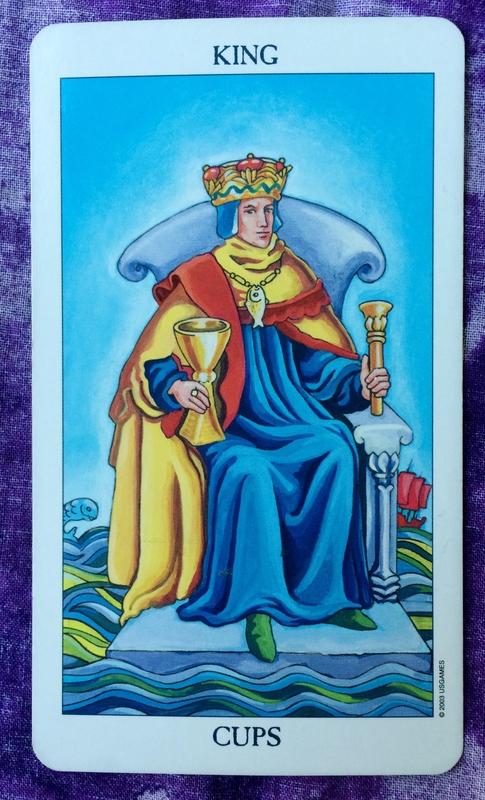 The Tarot card of the day is the King of Cups (Commitment). Astrologically speaking, this is a busy week: Mercury retrograde starts tomorrow, the new moon is on the 6th, and also on the 6th, Uranus enters into the sign of Taurus and will stay there for nearly the next 7 years. These aspects are bound to affect your life in one way or another. Therefore, use this day to reflect on what your heart wants to manifest. Make a pledge to the new life you want to commit to. As events start to play out in your life, you will be ready to live life from a place of self love and authenticity. 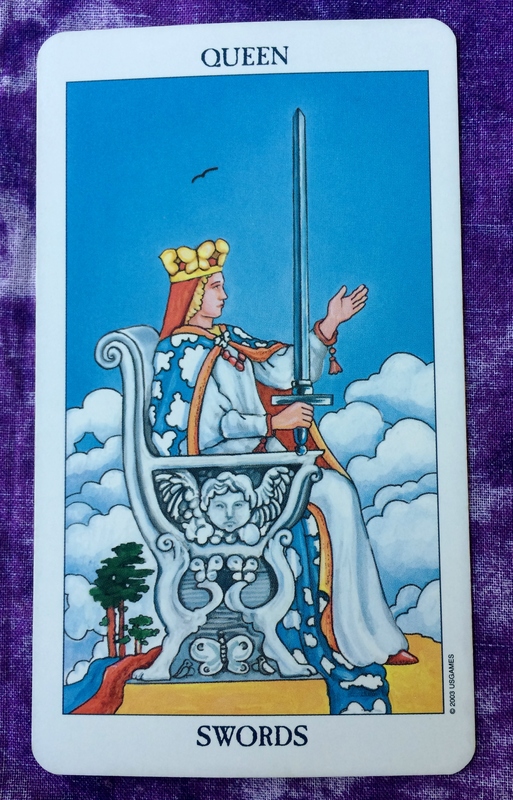 The Tarot card for today, Saturday, and Sunday is the King of Cups (Commitment). Tomorrow is the new moon and a partial solar eclipse. If you haven’t already, you may be feeling the effects of intense new beginnings in your life — as well as endings that pave the way for change. Use the King of Cups energy to gain control of your emotions. Also, have patience and compassion for those around you who are going through their own intense experiences. More than anything else, tap into the calling of your heart and commit to doing what you need to do to fulfill your emotional needs. Wishing you peace and love for this eclipse weekend. When a card in the suit of Cups turns up for the Daily Tarot Card or in a personal reading, the interpretation of it will touch upon the emotions in some way or form. Generally speaking, the emotion that the Cups leans heavily toward is love. Some would say, myself included, that love — or feeling the lack of love — is the basis of every other emotion there is. 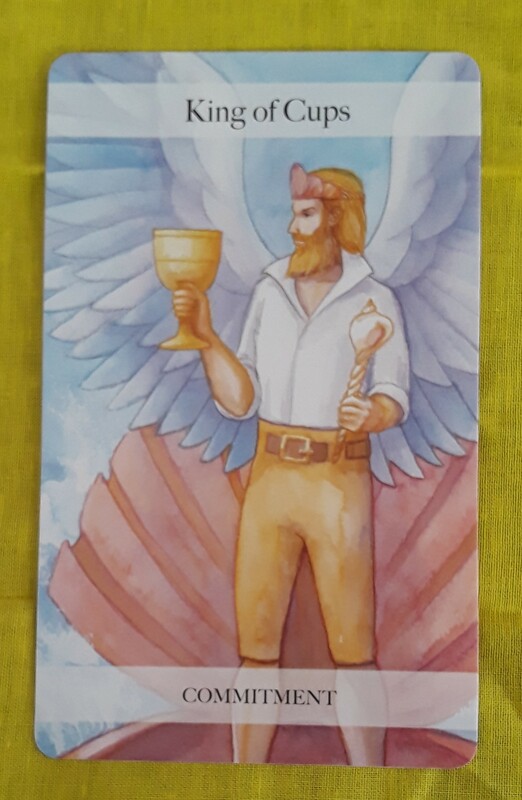 In the Tarot, very often, the Cups give a clue as to how to gain emotional stability so that you feel safe and loved, as well as how to give love to others. The Cups represent watery energy, which means being receptive, intuitive, creative, and fluid. 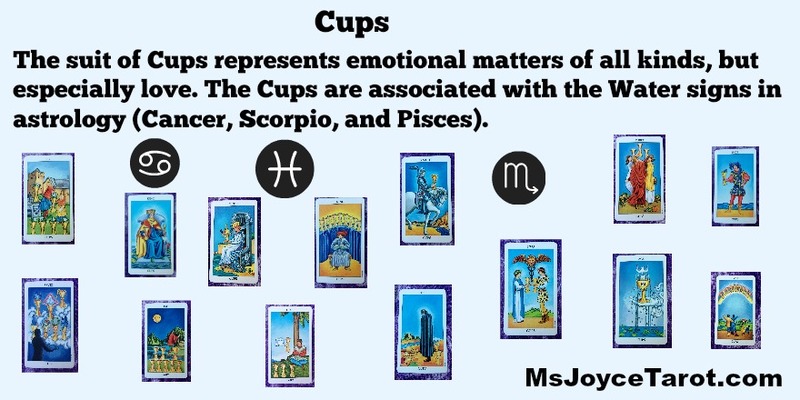 When related to astrology, the Cups are associated with the water signs — namely Cancer, Scorpio, and Pisces. 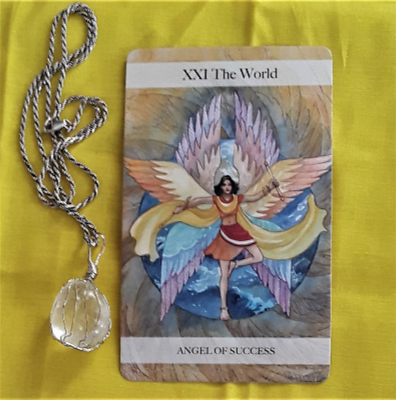 In a personal reading, the position of the card in the spread, the question, and intuition, among other things, help determine what each card means specifically. For the daily card, I clear my head and ask the Universe to show me what message the group as a collective needs to hear. I allow the card to pop out of of the deck as I shuffle. Then I interpret the card based on intuition and channeling. As a result, any card can have an infinite number of interpretations, depending on the circumstance. But when I see a Cup, at least I know which general direction I’m going in. I hope you enjoyed this post! Comments are welcome.